Are you a winker? Can you close one eye whilst keeping the other open? It may sound simple but not everyone can do this – as a volunteer at Bempton Cliffs discovered. 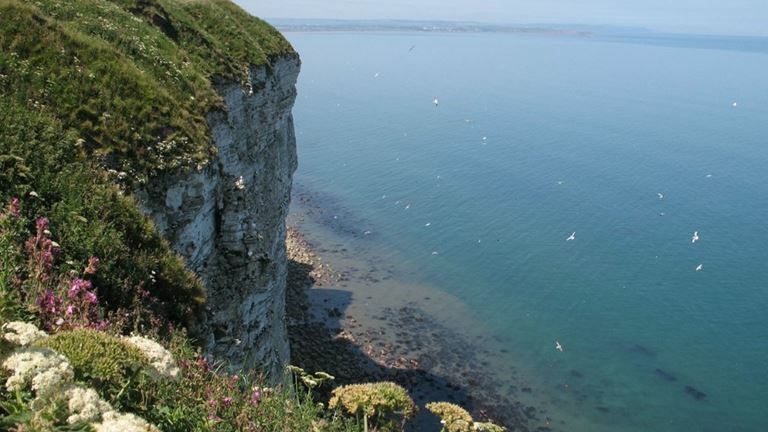 RSPB Bempton Cliffs was awarded a Heritage Lottery Grant in July 2013. Working with partners and supporters, the RSPB aims to transform Bempton Cliffs into an internationally important wildlife tourism destination, which can be enjoyed by all. Ian Crossley has been helping out at the award-winning nature reserve since the beginning of the year. His main role has been showing visitors on the viewpoints the reserve’s seabirds – including the magnificent gannets. But he encountered a problem. “They either close one eye or both eyes as they look down the lens. 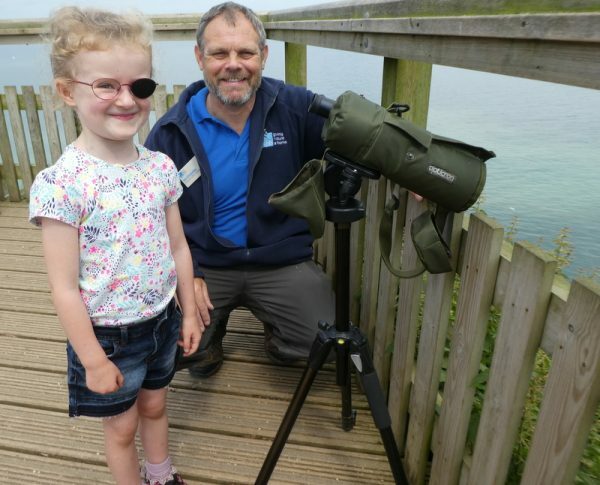 It sounds funny but it’s extremely frustrating – especially for children who desperately want to spot a seabird”, Ian said. So he put on his thinking cap to come up with a solution. He first talked to a colleague who’d been in the navy and had similar issues looking through a rifle sight during training – he’d covered the eye not being used with a piece of card when taking aim. Ian’s first idea then was to create something akin to a pirate eye-patch. But he felt he could do better. And he did – with a little help from Specsavers. Ian spoke with Jo Hood at the optician’s Bridlington store and they donated a batch of discontinued spectacles so he could adapt them to solve the problem. He did this by removing one lens and painting the other with black nail varnish. “By wearing the spectacles you don’t need to decide which eye to close or even close one at all,” Ian explained. “You just look through the lens with the eye that isn’t blacked out”. And Ian’s invention has worked a treat. 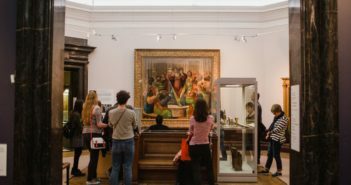 So much so that a lot more adults as well as children are coming forward to give them a go – which has delighted both Ian and Specsavers.